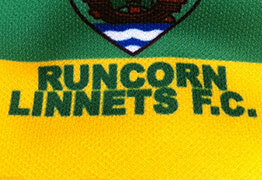 We are the Junior section of Runcorn Linnets FC, based in Runcorn, Halton, we are affiliated to Cheshire County FA. The Juniors currently run over 40 teams across mini soccer, junior soccer and eleven-a-side football, providing football for both mixed boys & girls teams plus 12 single age group girls only teams. We offer football development and participation to boys & girls from age 4 years up to 18 years old. Our league teams span Under 7's through to Youth football at Under 18's. 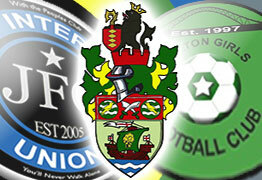 Our reputation and successful history has been forged and built upon, following the successful amalgamation between Runcorn Linnets FC, Inter Union JFC and Halton Girls Club. Our success on the pitch is mirrored by the high standards we set off it. Runcorn Linnets Junior Football Club's home base is at our 'Halton Sports' playing fields at Stockham Lane, Murdishaw, Runcorn which surround the Millbank Linnets Stadium. Our Halton Sports Complex offers a Clubhouse, Toilet Facilities, The Nest Cafe, Free WiFi, Changing Rooms, Ample Parking, and Quality Playing and Training Surfaces. We provide quality, fun and safe football opportunities for young people irrespective of gender, religion or ability thus making a positive impact in our community. Our aim is to help players and coaches to realise their full potential, by developing their personal and team skills and confidence. 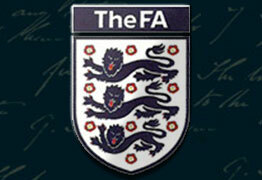 The FA Charter Standard recognises high quality levels of provision in club football. By awarding Runcorn Linnets Junior Football Club the Charter Standard, The FA confirm we are a well run, sustainable club, that upholds child protection policies and regards child safety as paramount. Our club is proud of its reputation and history built up over a 17 year period by two Runcorn Junior Clubs, Inter Union and Halton Girls. The successful transitition to Runcorn Linnets FC has seen the Club grow from strength to strength as it continues to set the standard for other local clubs to follow. We would like to thank Our Sponsors for their loyalty, grassroots football wouldn't be possible without their kind support.